Back in August 2016, we brought you the full explanation of why Victor Miller is filing to attain the rights to the Friday The 13th franchise. That information came on the heals of Horror Inc. and Manny Company (successor to Georgetown Productions) filing a lawsuit against original Friday The 13th writer Victor Miller in response to the notice of termination Victor sent the producers in an attempt to gain the rights to the franchise. We had not heard anything about the progress of the litigation until yesterday and now we have more details. 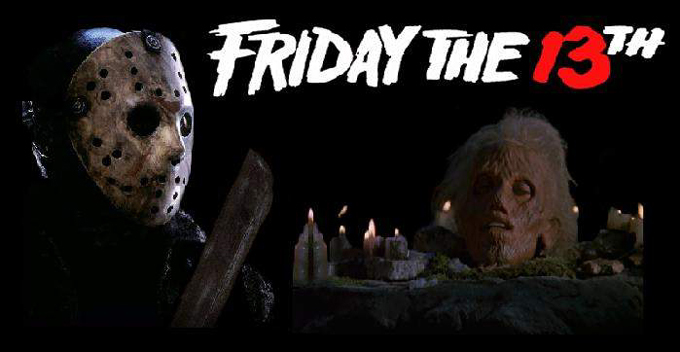 Last Friday, original Friday The 13th director and current rights holder Sean Cunningham was deposed under oath by Victor Miller's attorney Marc Toberoff. According to iHorror, Cunningham was questioned about the claim that Victor was hired as an independent contractor for which Sean has denied and still holds his stance that it was a work for hire arrangement. Also mentioned during the deposition was the fact that, according to Cunningham, a screenplay nor a treatment was even completed three months before filming commenced on the 1980 film. Cunningham also testified that Victor's name never appeared in the original Variety advertisement used to gain financing for production of the original film and that the title of the draft that Miller eventually did turn in was titled Long Night At Camp Blood and not Friday The 13th. Victor has countered that claim stating the original shooting script was titled Friday 13 and not Friday The 13th as well. Cunningham also mentioned while being questioned that he does not believe he is the creator of the Jason character as the fans know him because the character was dead in all of the drafts created by Miller. Miller's attorney, Marc Toberoff, is now currently seeking out an old secretary for Sean Cunningham to corroborate Victor's claims and dispute Sean's testimony under oath. According to iHorror, another hurdle in the litigation is if Victor can gain rights to both North American and International markets so future films can be distributed without extra legal hurdles. The most interesting revelation from the deposition is that Victor claims he does not want to control the entire franchise, but wants the power to negotiate a new deal and have some leverage as an author over the existing franchise. On June 9th, Victor looks to file for summary judgement and if that fails, this dispute will be going to trial. It seems like Victor wants a controlling stake in the direction of the franchise going forward, and wants to be paid accordingly. Stay tuned as this looks to be heading to trial and things will get interesting.